When it comes to airport parking, Malaga Airport has just about every eventuality covered. From long stay down to short stay parking, here is a list of prices to park your car at Malaga airport. You’ll also find out below how long you can wait at the airport if your only there to meet an arriving flight. 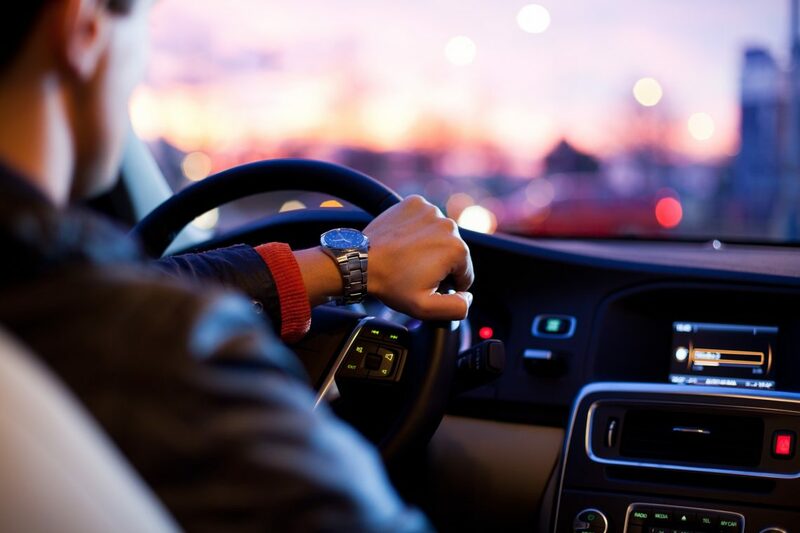 If you need to leave your car at the airport while away for business or on holiday, there are some cheaper parking options that you may not have heard of. 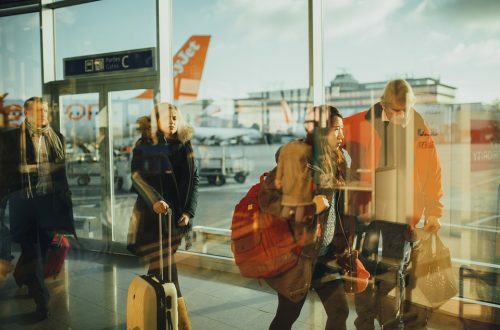 All of the on-site parking is owned by airport operator AENA and while the most convenient can also be quite expensive if you do not read the terms and conditions correctly. If you are planning to leave your car for a long period of time it is worth considering a private parking lot operator outside the airport. They offer a free shuttle to and from the airport or meet and greet and will make special deals for extended lengths of time or for people who travel often. 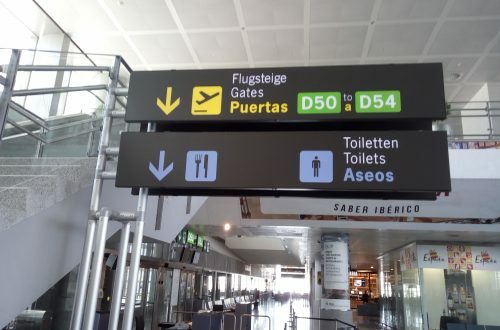 Malaga Airport no longer has a free drop off zone for departing passengers, which means if you are dropping people off at the airport you must now take a ticket and park in the Express Car Park. The first 15 minutes are free, after which time you must pay 16 mins = 1.65€ | 30 mins = 2.30€ | 1hr 3.80€ | 90mins 6.50€ | Max per day 34.70€. Introduced in 2017 as a service for first class passengers the priority parking area at Malaga airport is located on the arrivals level near the train station. Despite having a 90 car capacity the lot is underused and presents a convenient place to park while waiting for arriving passengers. Sightly more expensive than P1 with a 1€ charge for the first 15 minutes the incremental increases are marginal. 15 minutes = 1.74€ | 30 minutes = 2.53€ | 60 minutes = 4.84€ | Two hours =10.03€ | 24hr max is 36€. You can either validate the ticket by making a payment in one off the parking ticket machines or by card at the exit barrier. General day rate parking is available in the multi-story garage opposite terminals 2 and 3 with the entrance located on the ground floor next to the car hire return parking. Depending on the time of day and where you park it can take 10-minutes walking to get to departures. Parking in P1 costs .04 per minute up to a maximum daily cost of 18.30€. Long term parking at Malaga Airport is available at the P3 car garage. Located away from the main terminal near where the cargo arrives, P3 has room for 430 cars. Some of the parking places have a covered canopy to protect your car from the sun, but you will be very lucky to find one of these unoccupied. From P3 there is a free shuttle to the passenger terminals that run every 15 minutes. When arriving back at the airport from your trip you need to call the parking office in P3 and they will send a vehicle to pick you up. A courtesy telephone is located in the arrivals hall to the left of the baggage carousels. Parking in P3 costs 19€ per day, but you can save money by pre-booking your parking online. Close to Malaga airport, you will find several private companies offering parking, with a shuttle service to the airport. A few are located opposite the San Miguel beer factory while others can be found around the village of Juliana. Make sure you have the car parks phone number when you get dropped off at the airport so that you can call them to come and collect you on your arrival. One suggested company that provides an excellent service is www.malagaairportparking.com You don’t have to worry about waiting for a courtesy bus to arrive, they offer a meet and greet parking service at the airport. Their customer service is well reported on as has many excellent reviews.